Here we go with the 3rd and final post of the Disney week! Thanks so much to Andrew for having me along to discuss Disney villains as part of his Disney weekend! Now for me, I always struggle with this “Favourite Disney villains” thing: am I meant to talk about the ones I like the most? The ones I think are the most evil? WHO KNOWS. I have gone for the ones, in my eyes who are the MOST evil. The ones I wouldn’t like to mess with. The ones who scare me the most. Jafar (Aladdin): he terrifies me. I remember watching Aladdin when I was younger and thinking this man was the most horrible man ever. He’s evil, conniving and power hungry. He betrays the Sultan and holds Jasmine against her will. I’ve ALWAYS thought he’s one of the scariest. 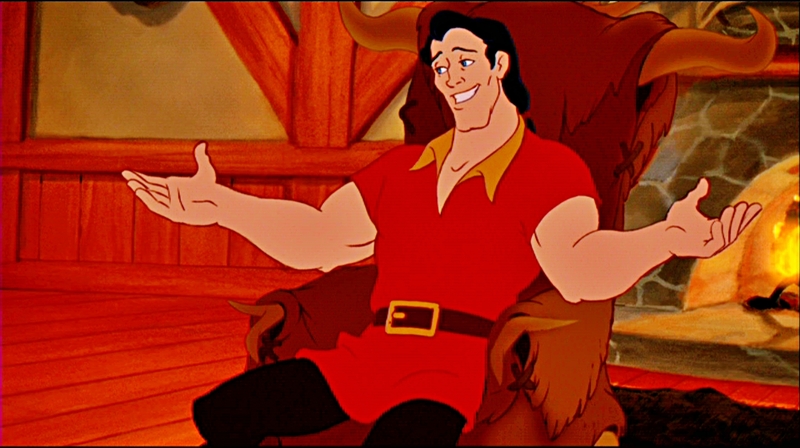 Gaston (Beauty and the Beast): you all know how I feel about Gaston. I think he’s mean. I think he’s repulsive. He’s narcissistic and self-obsessed. He’s Machiavellian. He’s just wicked. I don’t think he’s the Disney villain who has DONE the worst things, but he’s certainly one of the ones that repulses me the most. 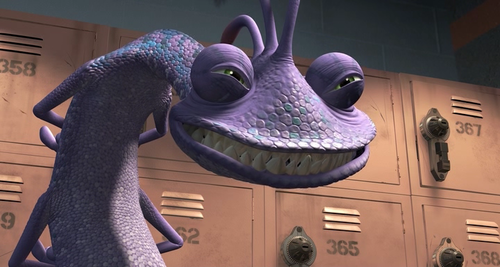 Randall (Monsters Inc): probably a surprising one to have on the list, but he creeps me out. He’s horrible to Mike and Sully. He’s a cheat. He can turn invisible (which is always a bit weird) and he’s quite sneaky. Plus, he has ALL THOSE TEETH. I’m not a fan. He gives me the creeps. Scar (The Lion King): I can’t mention Disney villains who I’m scared of the most without mentioning Scar. He kills his own brother (spoiler alert, ha) and then takes over his pride. That’s just another level of evil. Plus he’s mean to Simba. He just has that evil look about him. And ‘Be Prepared‘ is one of those Disney songs that just gives me the creeps. Sheriff of Nottingham (Robin Hood): I hate him so much. He preys on vulnerable people and takes advantage of people. He’s the direct opposite of Robin Hood – and I love Robin Hood. The scenes of him collecting taxes break my heart, especially when they’re in the church. He’s just such an EVIL person. And look at him. He’s horrid. So there we go! My favourite (or least favourite, IDK HOW TO WORK THIS) Disney villains. I can honestly say all of these I dislike, but I think Jafar and Gaston are up there for me. Who are your most hated villains? What makes a good villain to you? I love a good (or rather, bad) Disney villain so love this Steph! My top 5 are Scar (I also agree that Be Prepared is amazing, one of my favourite Disney songs) , Governor Ratcliffe, Mother Gothel, Lady Tremaine and Shere Kahn. Eurgh, the Sheriff of Nottingham angers me so much! I feel furious anytime he appears in Robin Hood, he’s just so cruel. 😦 I used to find Maleficent terrifying when I was younger. Also, I LOVE Mother Gothel, she’s such a complex villain and it’s great! So many intricacies in her character!